Fashion design school can be a dream-come-true for those who have always had a passion for outerwear, sewing, tailoring, or just advising others on the best outfits for their body type. There are a lot of reasons one might want to go to a fashion school, but one of the most common reasons for not doing so is financial capability. Many students are simply unable to afford the college tuition, cost of books, and cost of extra materials that are necessary to earn a degree. Choosing to avoid fashion design school because of the cost is a hard decision to make and it’s a decision that may not be necessary if you know where to find financial aid. It is true that a college education can cost thousands of dollars and fashion design schools are no exception. For the potential income that can be earned doing what you love however, getting creative when financing your education can save the day. 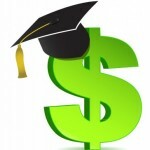 The first place to seek financial aid is from the college you wish to attend. Many fashion design schools work out a deal with financing companies so that students applying for aid through the school can get better interest rates and even more relaxed lending criteria. When going through a school to get financial assistance, it can be important to remember that schools are technically businesses and may pressure you into using their companies – even when you can get a better rate elsewhere. However, most schools are more interested in your overall success. Don’t be afraid to ‘shop around’ for the best deal on financial aid. Most fashion design schools have a department that works with students on financial aid, specifically. They may help you apply for a grant program through Federal Student Aid (FAFSA), through a loan program, or from a number of independent grant organizations. You can also apply to most financial aid offices on your own. “We’ve pulled some examples of fashion scholarships from the Scholarships.com database and listed them below. For more examples of fashion scholarships, conduct a free scholarships search, indicating your major in your profile. You can also look for scholarship awards based on other criteria, because if you’re interested in fashion, you’re probably a creative individual who may be eligible to win a number of other scholarships outside the realm of fashion.